Benitez speaks out about Jonjo Shelvey’s situation – Reveals the big issue after midweek absence – NUFC blog – Newcastle United blog – NUFC Fixtures, News and Forum. 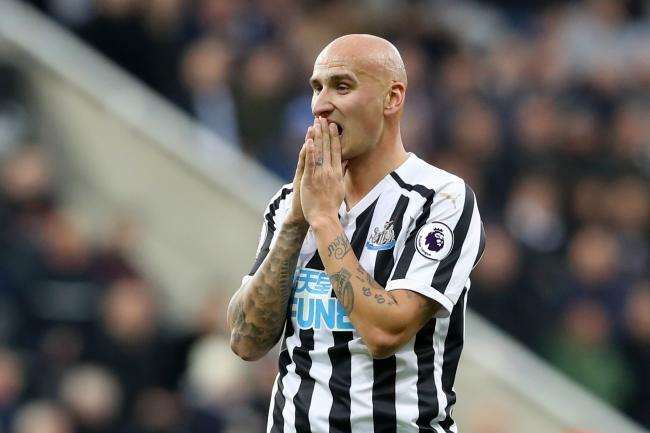 Rafa Benitez admits that things are “not easy” for Jonjo Shelvey right now, saying he needs to ‘prove his match fitness’ to play but is struggling to do so with several midfielders ahead of him in the first-team pecking order. Longstaff and Hayden’s form has made it almost impossible for anyone else to move them out of our starting line up, however Shelvey hasn’t even made the bench over the last two games – despite him being pictured back in full training over the last week. Then there’s Diame and Ki – two players who appear to be further on in terms of their fitness levels based on Benitez’s decision to named them as substitutes on Tuesday over Shelvey. “Hopefully we can carry on doing the same and, if I have a chance, I will give an opportunity to people to be sure that everybody can be involved. Match fitness seems to be the major issue here, but, as Benitez says, it’s difficult for him to be given a chance to improve that given we seem to have four players in his position that are either in better form or closer to peak fitness. He was back in training during out camp in Spain, but he was clearly not deemed fit to feature against CSKA – and both Diame and Ki have been the midfielders named on the bench in our last few games as a result. Could a run out in the U-23’s be the answer? It might be something Rafa is considering given the midfield partnership of Hayden and Longstaff doesn’t look like changing anytime soon on current form.